Here's a simple but effective way to break the ice and introduce people at your next meeting or event. It's a good way to get people into a brainstorming/creative mood and sets the tone for a creative meeting. 1. 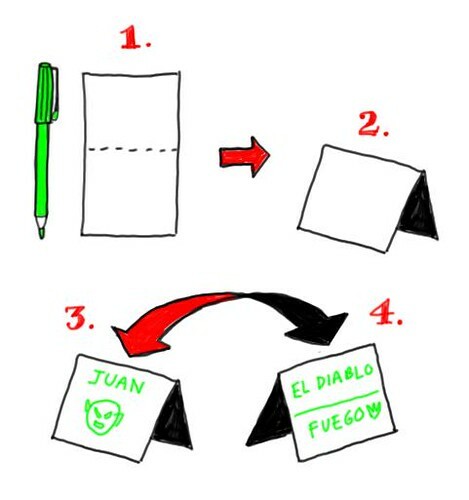 Give everyone an index card and a colored marker (it's better if everyone has a different color). 3. On the front, have them write their name and draw their "supermask" (as in, if they were a superhero, what would be their mask?). 4. On the back, have each person write their "supername" and "superpower." 2. Instead of "supername" and "super power" you can try other things, like "wrestler mask, name and secret move."